February 7, 2019 — We’ve said it before, and it bears repeating: We’re decidedly in a new golden age of gifted singer/songwriters whose roots are firmly planted in classic soul/R&B but who are taking the genre in exciting other directions. H.E.R., Lucky Daye, SZA, Malia, Kevin Ross, Esnavi, Summer Walker, Ella Mai, and Daniel Caesar, among others, are changing up the sounds and textures of R&B in ways that delight our ears. We feature here for the first time another such young artist, Kiana Ledé. 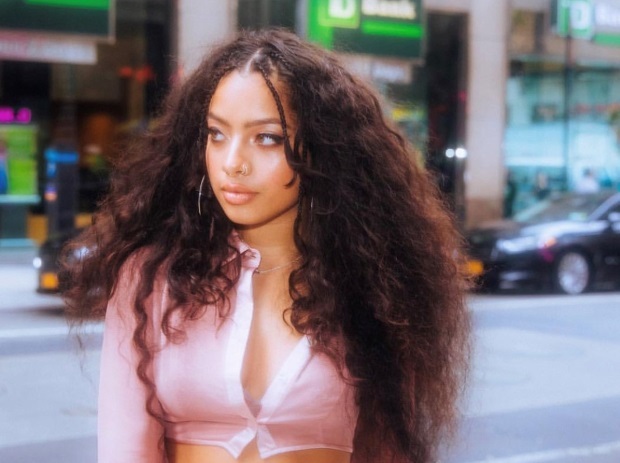 We feature here Kiana’s live performance for VEVO’s DSCVR series of her single “Ex,” a head-nodding, pointed message to an ex-lover and friend. Enjoy.